What collar crime, as defined in F.S. 775.0844(3), is a conspiracy to commit or the commission of any felony offense as specified in the listed chapters that relate to theft or fraudulent practices. The Fort Lauderdale white collar criminal defense attorneys at The Law Offices of Richard Ansara know these offenses are tackled by increasingly well-funded and adept law enforcement agencies with economic crimes units at both the state and federal levels. Although no one may be physically harmed by the alleged acts, the Florida Legislature took note of the economic, psychological and emotional upheaval on victims – particularly the elderly, who are frequent targets. These actions often involve substantial sums of money, and punished more severely than an average theft case. A felony offense that involves or results in fraud or deceit on a person or involves conspiracy to commit fraud or deceit. Victimizing the state of Florida, any state agency or any of its political subdivisions or agencies of those subdivisions. In many situations, individuals who commit these crimes are ordinary folks who make uncharacteristically impetuous or poor decisions. They aren’t necessarily trying to hurt anyone, but they may see the opportunity as a way out of a tight financial spot. There are a number of effective defenses that can be asserted. 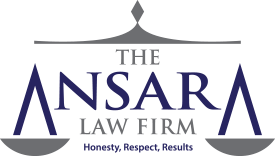 An experienced white collar defense attorney with significant experience in strategic handling of the complex legal issues involved ensures the best possible chance of a favorable outcome. Most laws authorize a prison sentence and/or a substantial monetary fine for white collar offenses in Florida. There is a common myth that those convicted of white collar crimes do “easy time,” in comfortable minimum-security prisons There is no guarantee that sentences will be served in minimum security lock-ups, and there is definitely no assurance that those “accommodations” are going to be in any way comfortable. For example, committing a worthless checks crime, per F.S. 832.05, is either a first-degree misdemeanor, punishable by up to one year in jail, or a third-degree felony, punishable by up to five years in prison. Meanwhile, if you commit identity theft on dozens of people, you could be facing a second- or first-degree felony, punishable by maximums of between 15 and 30 years in prison. However, the circumstances of the crime may only result in conviction of a third-degree misdemeanor, which could mean little to no jail time at all. If someone commits an aggravated white collar crime and obtains or attempts to obtain $50,000 or more, it is considered a first-degree felony, punishable by up to 30 years in prison.